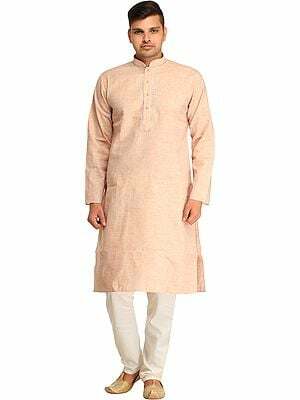 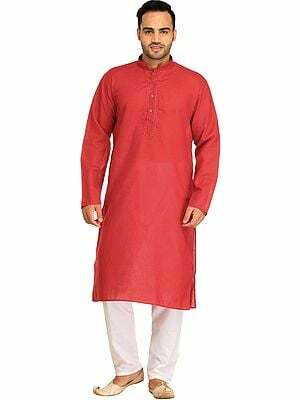 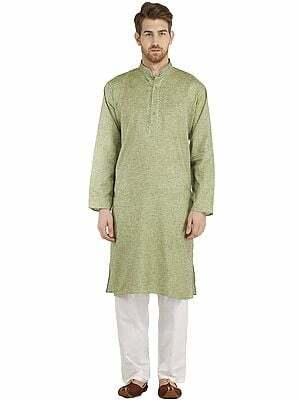 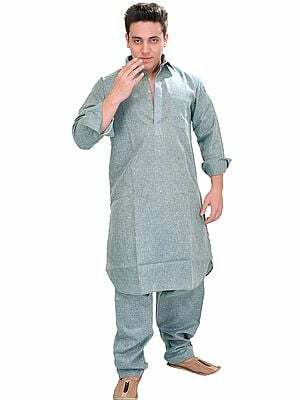 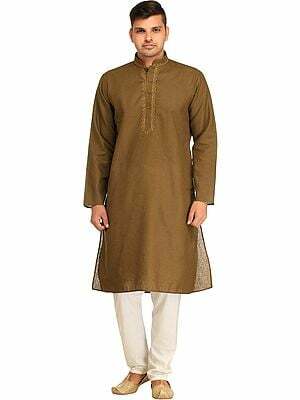 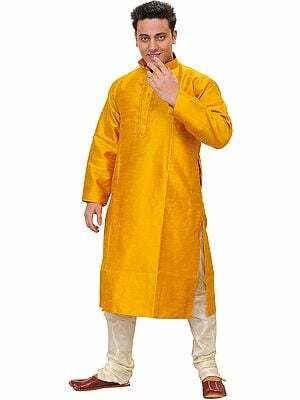 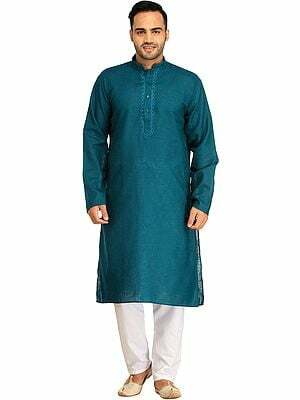 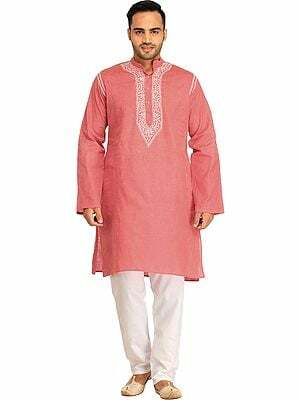 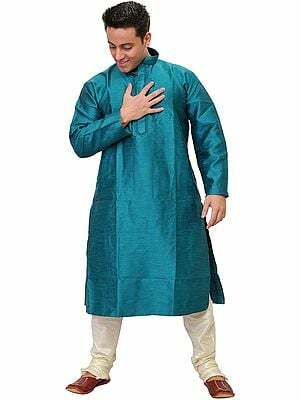 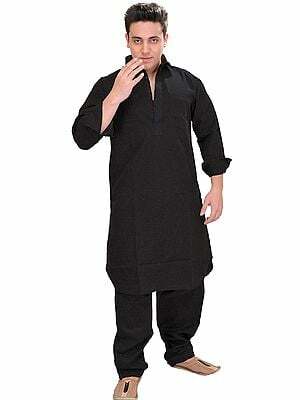 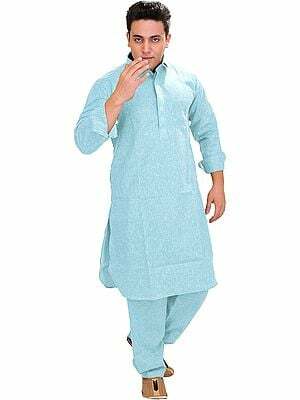 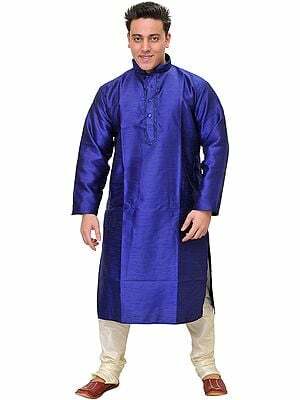 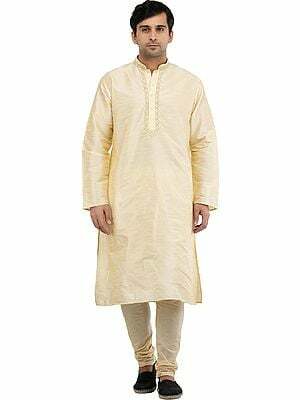 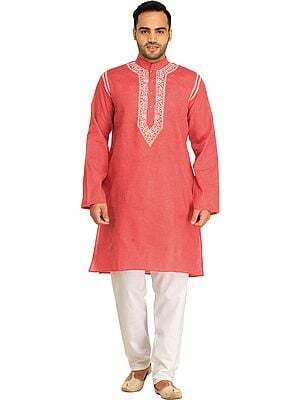 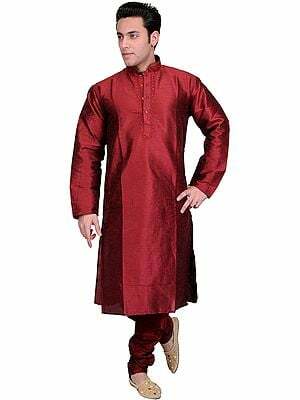 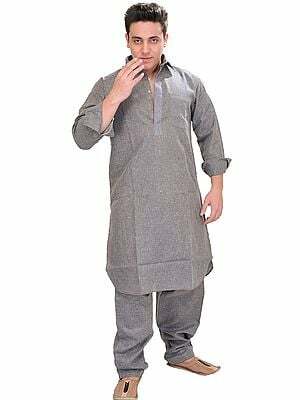 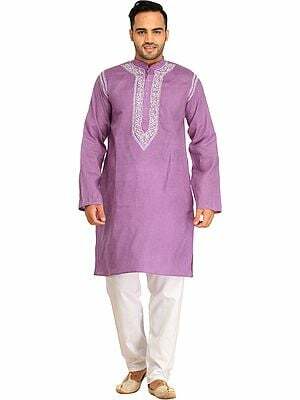 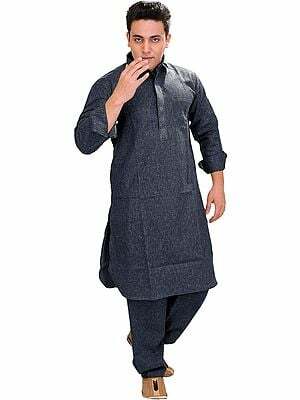 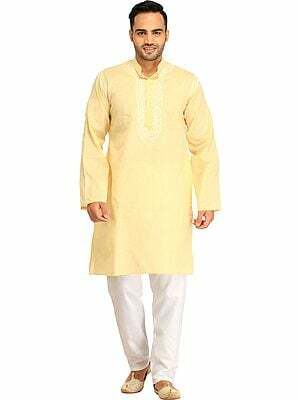 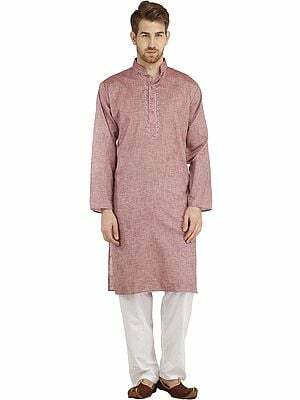 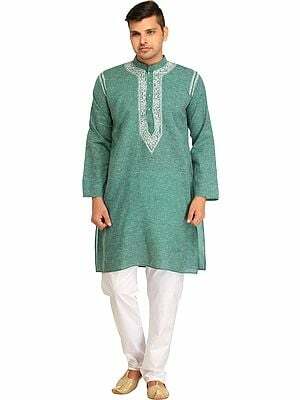 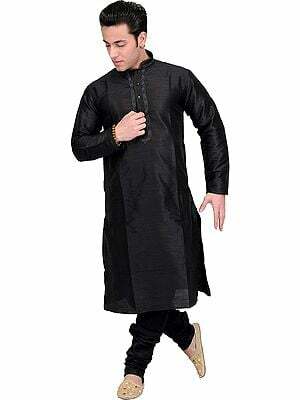 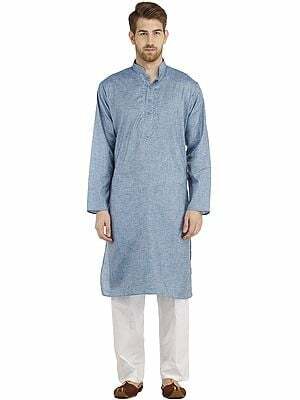 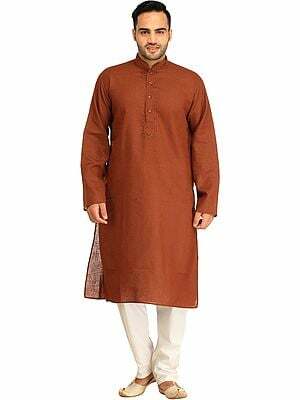 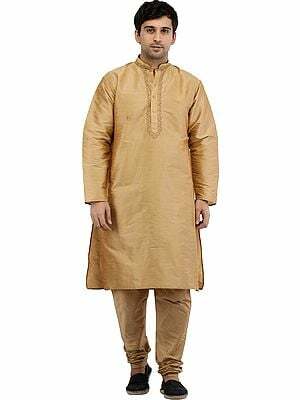 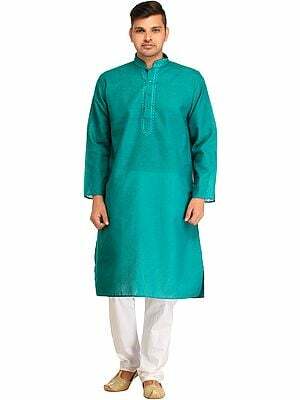 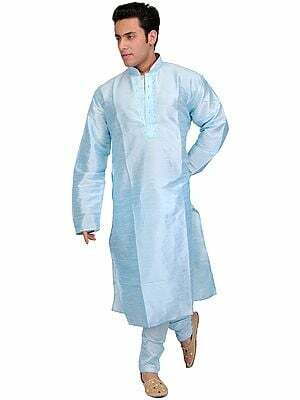 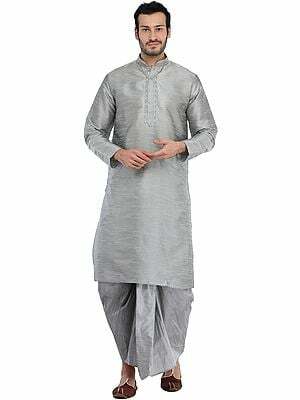 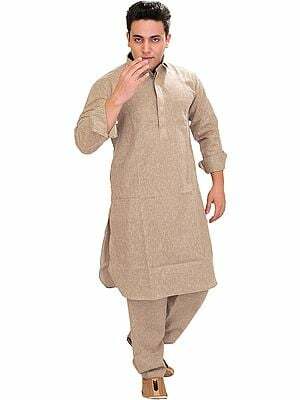 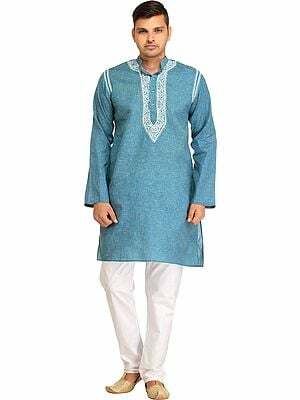 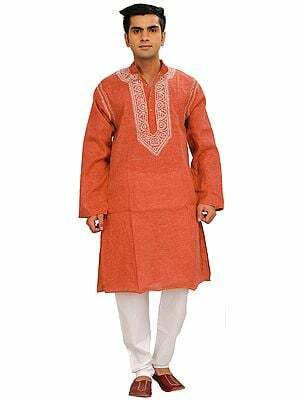 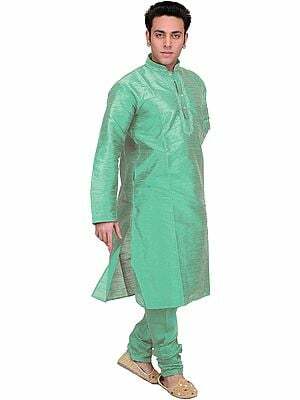 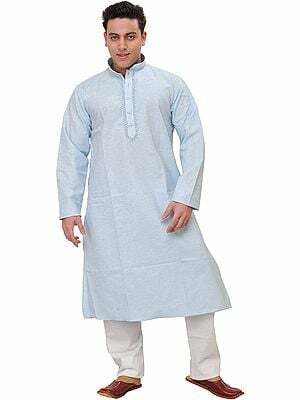 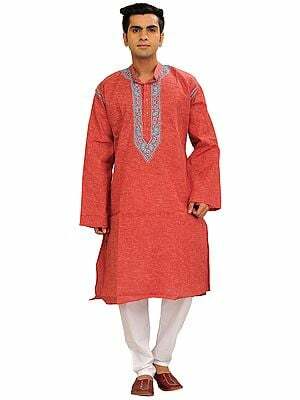 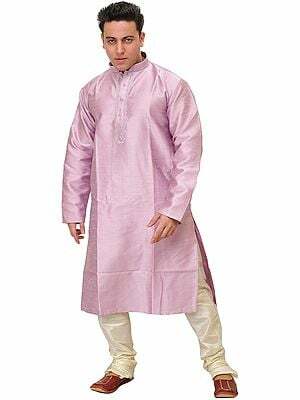 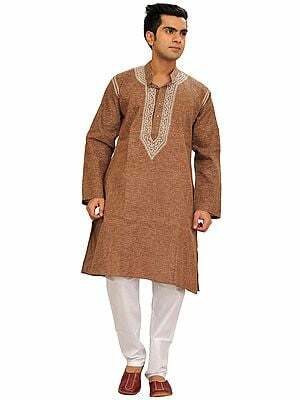 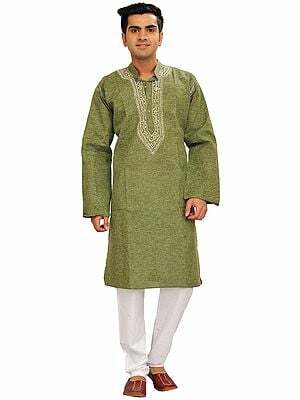 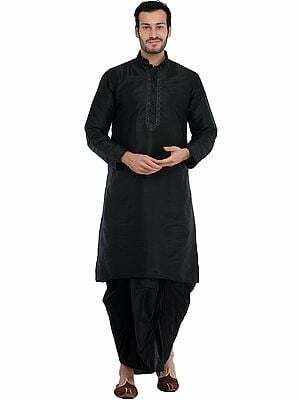 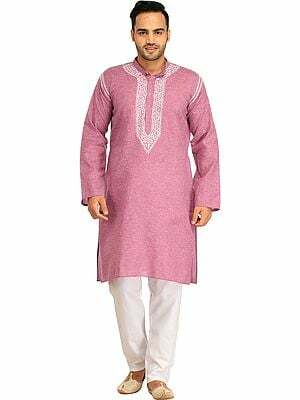 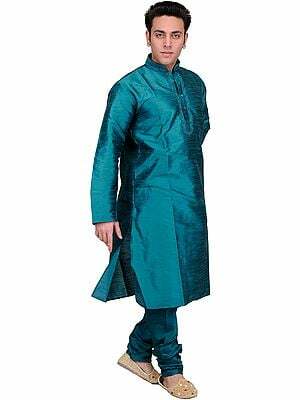 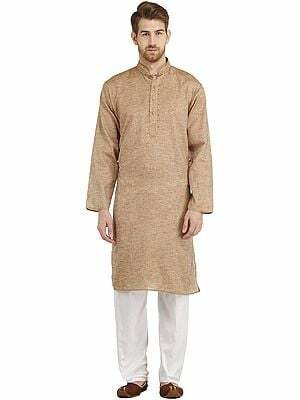 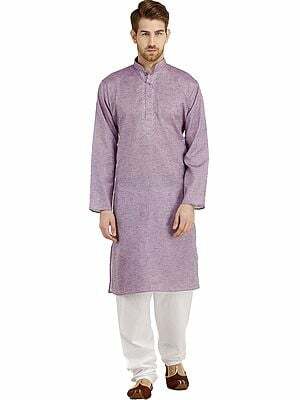 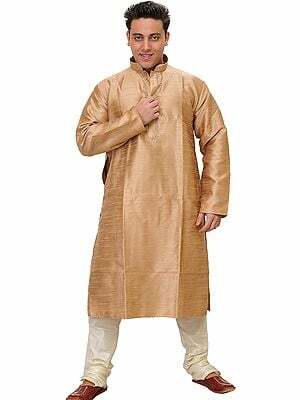 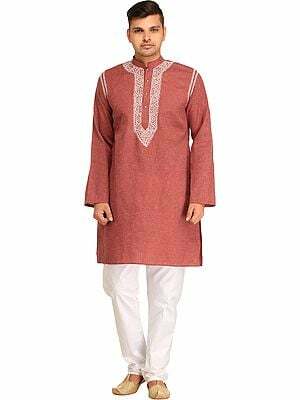 This kurta-pajama set from the Exotic India collection is a classic. 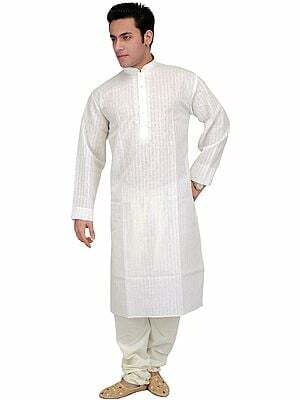 Straight-leg pajamas in solid white and a network of chequered weave characterise each set. 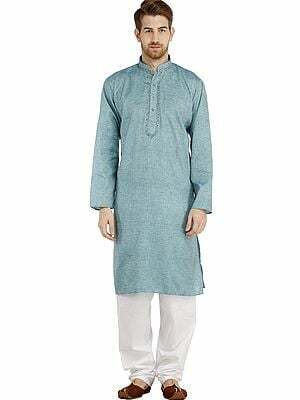 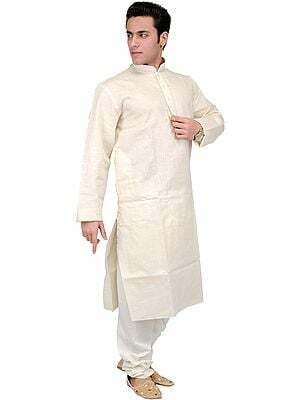 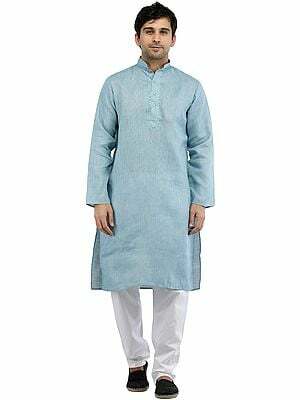 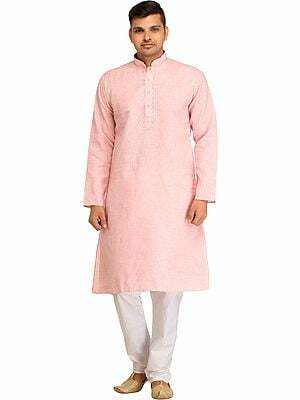 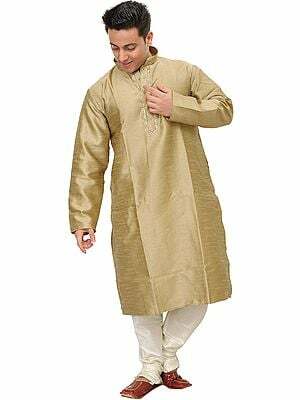 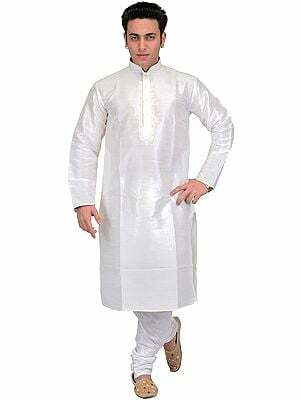 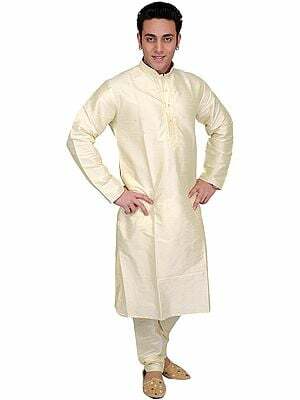 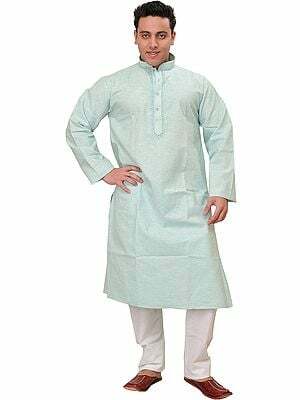 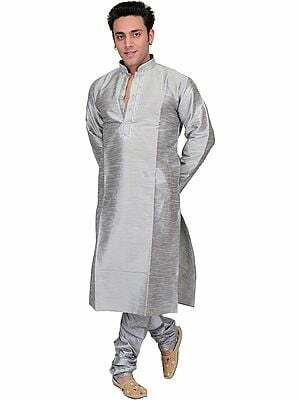 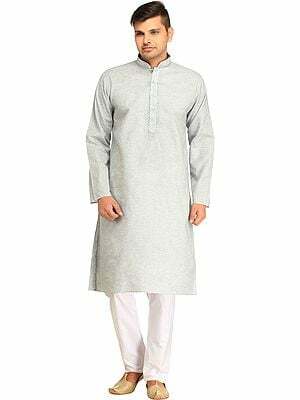 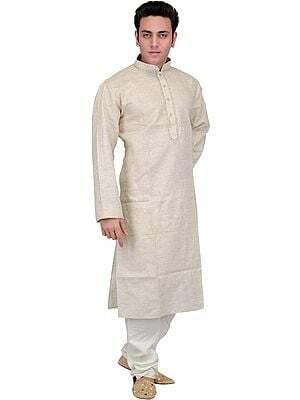 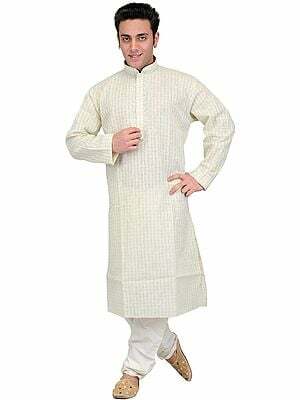 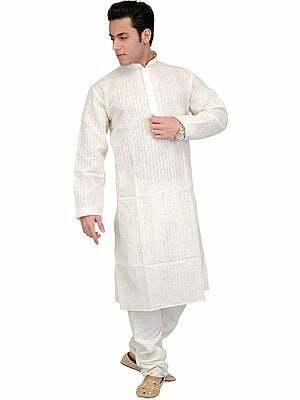 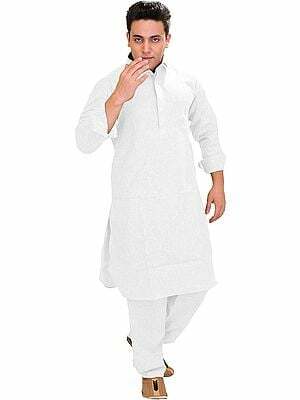 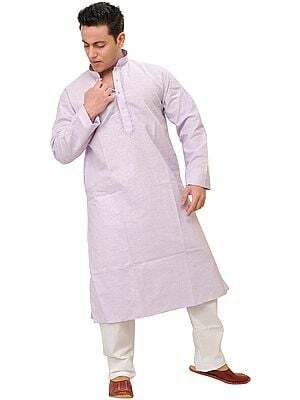 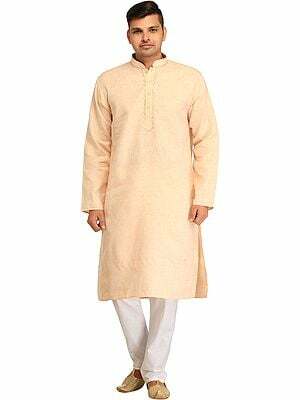 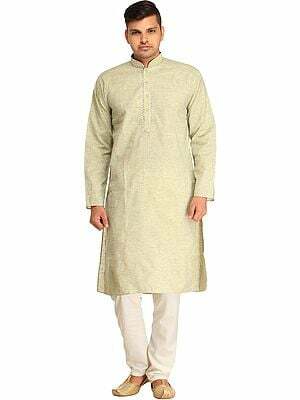 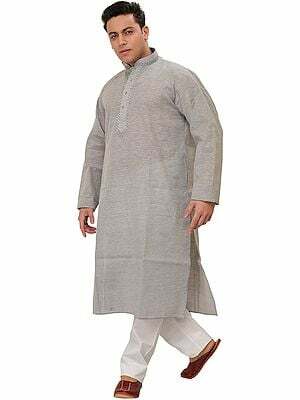 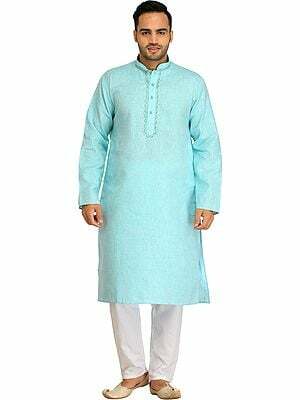 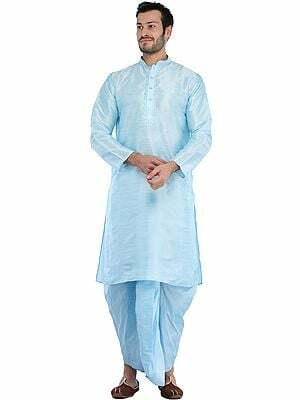 Note the earthy, pastel shades the kurta comes in, setting off the pristine white of the pajama to perfection.